Tanner Gers, an all-American kid growing up, is a man who’s been forced to reinvent himself over and over again throughout his life. However, the biggest reinvention he had was waking up in the hospital blind, and then learning how to thrive. 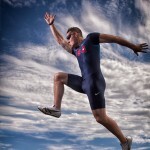 He has since heavily influenced the world as the host of the creative success show, through his health and fitness blog: ABSolutelyLean.com, as a professional speaker, and as a Paralympian. Tanner finds the fuel to do more and achieve more as long as he is fulfilling his big mission in life, which is to help people across the world achieve their potential in any aspect of life, regardless of circumstance. After high school, Tanner went down the wrong path and didn’t have any specific direction to head in. Just as he was getting set to create a life he could be proud of in the Air Force, everything changed in one split second. He got into an intense auto accident, and lost his sight. He wrote a book with the help of a mentor in order to tell the world what he had been through. He wanted to share his story of bringing himself back up and rebuilding his life after such a tragic accident. The game-changing touchdown for Tanner was when he began to work on himself. He focused his energy on growth instead of lack, and things got better. He encourages everyone to start recognizing the power of your story. You are you, so start practicing your story and telling it wherever you can! Make sure to check out Tanner’s website, creativesuccessshow.com! Get the Book Mentioned on Today’s Show! 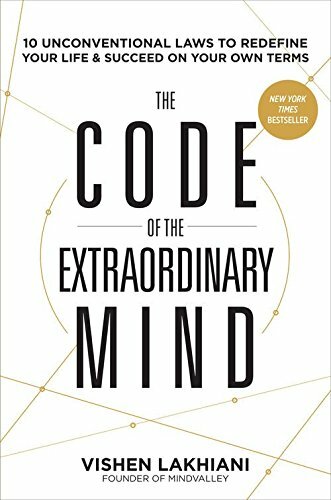 Click the link here or on the image to get The Code of the Extraordinary Mind by Vishen Lakhiani mentioned during today’s show.